Minnesota has been very fun to watch this year, with some terrific performances to go alongside somewhere they haven’t played so well. They should not yet abandon their dream of rallying for a playoff spot, with 20 games to go. Washington enters off a loss to Boston and is hoping to win a few in a row now. They are far out of the #8 spot, but they should not yet abandon ship. They’re an entertaining bunch to watch playmakers across the board. 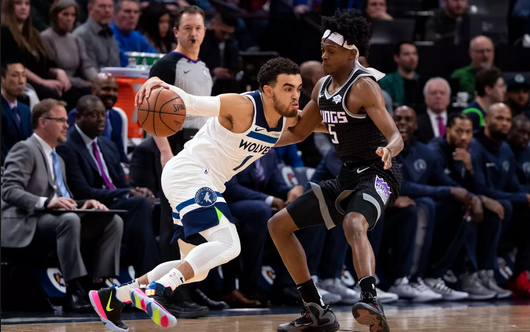 No matter what their record has stated throughout the year, the inconsistency of Andrew Wiggins continues to be something that plagues this team. He could score 25 points, as easily as he could shoot 4-16 and only add 12 while being lazy on the defensive end. The team is 10-12 since Ryan Saunders took over, and they have had some impressive wins in this time period. He has been doing a good job, trying to show management that this should be his team come next season. As the youngest coach in the league, he hasn’t let that stop him. Karl-Anthony Towns has been on another level this year, including consecutive dominant performances, coming off his concussion. KAT is averaging 24 points and 12 rebounds for the year, with 1.8 blocks, and he’s also hitting 40% of his threes. It’s been a masterful year for him, with a lot of time left to keep it going. D-Rose is averaging 18 points per game off the bench in his prove-it season. They have the #7 scoring offense in the league and have no problem putting the ball in the hoop. Defensively, though, they rank next to last in points allowed, and it’s proved to be a huge issue. Beal is averaging 26-5-5 and proving himself to be an All-NBA talent. Bobby Portis is averaging 15 points and eight boards while shooting 43% from deep. Jabari Parker is averaging 11-7-4 with 1.3 steals since coming over. Both guys have been terrific. Satoransky meanwhile has done an admirable job as the fill-in for Wall with 8-3-4 on the year, and a triple-double to his name. But coming off the loss to Boston, they hope to quickly bounce back. They could not close out the game after keeping it close, as their defense let them down in the waning moments. It has to hurt to be the team on the receiving end of a team ending a losing skid. But they lost, and now they have to move forward to today’s contest. Be sure to bet MIN +1.5! This game will be pretty close, and one that will come down to the waning moments. D-Rose will knock down a few clutch buckets after a monster game for KAT. And that is all it will take. Sorry DC.